Diwali is the brightest Indian festival which is celebrated in every state with equal fun, excitement, and craziness. Before Diwali, the whole house is cleaned properly – some go for a new painting, wall stickers, decals, furniture set, etc. What about the polluted air that is still not clean? The air cannot be seen and that’s why one cannot clean it – right? But there are ways to cleanse the air too. And before cleaning the indoor air, one must also know about the importance of cleaning indoor pollution. Coming from outside and sitting at home under fan or A.C. doesn’t guarantee safety. The indoor pollutants that are harmful are formaldehyde, Volatile Organic Compounds (benzene and trichloroethylene or TCE), airborne biological pollutants, carbon monoxide, and nitrogen oxides, pesticides and disinfectants (phenols), and radon. If you feel frequent headaches, fatigue, or depressed most of the time, it is a signal of indoor pollution. Apart from these sicknesses, a toxic indoor air can also lead to various allergies, nervous system disorders, cancer, and even death. So, this Diwali, pledge to transform your indoor air circulation by placing these plants in various places of your home. You can bring these air purifying indoor plants for your home or gift it to friends & relatives and beat the indoor pollution this Diwali. The name itself sounds so peaceful! Your indoor atmosphere would become healthier if you add this wonderful flower-bearing plant. The glossy green leaves growing on firm stalks produce white flowers in spoon shape. Do you know that peace lily is one of the few tropical plants that bloom indoors? This plant is an excellent filter for alcohols, trichloroethylene, formaldehyde, acetone, and benzene. Another amazing feature of this plant is its high transpiration rate. This high transpiration helps in both air purification & humidification. The peace lily is one of those low-maintenance indoor plants and would sustain even when you have forgotten to care for it. It requires indirect sunlight & high humidity and thus water this plant thoroughly. Take special care of the leaves by misting them with warm water to prevent pest, mite, spider, or insect attack. The leaves of peace lily plant are toxic to humans and pets as they contain calcium oxalate. Thus, keep this indoor plant away from the reach of your children. As per the tests of Dr. Wolverton of NASA, the Areca palm is capable of removing more toluene and xylene than any other plant. Toluene is one of the disreputable ‘toxic trio’ (that also includes formaldehyde and dibutyl phthalate) known to be dangerous to human health. Toluene is generally present in nail polishes, paint thinners, nail polish removers, correction fluids, and glues. Xylene is a solvent that is present in the printing, rubber, and leather industries and thus from all your rubber and leather objects, this harmful xylene oozes out. These chemicals make their sweet & convenient way into your homes/offices and increase indoor pollution. Areca Palm is that indoor plant you must keep in your home/office and also gift it to your loved ones because it is an extremely plant when it comes to combatting these toxins. 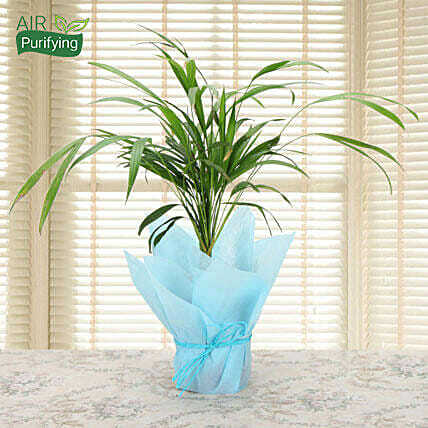 Areca Palm discharges a large amount of water vapor that would make your dry surroundings bearable. Give it a loamy soil, fertilize regularly except winter, and provide enough water and enjoy a healthy living. While buying Areca Palm, select the one with larger trunks at the base rather than the one with thin stems because the latter is tough to maintain. When it comes to cleaning formaldehyde from the indoor air, Boston Ferns are the best as per the studies of Dr. Wolverton. Formaldehyde is present in almost everything like plastic, paper towels, adhesives, garbage bags, floor carpets, facial tissues, tobacco, gas stove, etc. With Boston Ferns, this formaldehyde would be wiped off from your indoor air. 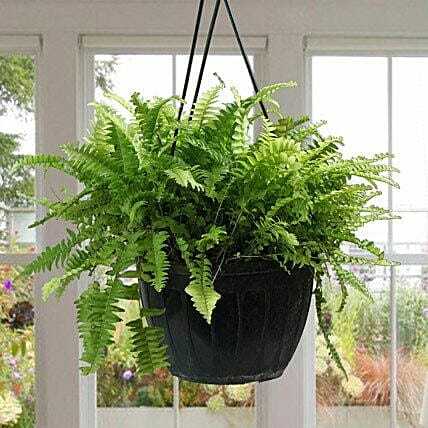 The feathery ferns look really great when kept in a hanging planter. It requires a cool atmosphere but indirect or slanting sunrays. The soil doesn’t require regular watering but the leaves require misting with warm water or they would turn brown. The ideal temperature that a Boston fern need is 18-24 degree Celsius or 65-75 Fahrenheit in the daytime and 10-18 degree Celsius or 50-65 Fahrenheit at night. 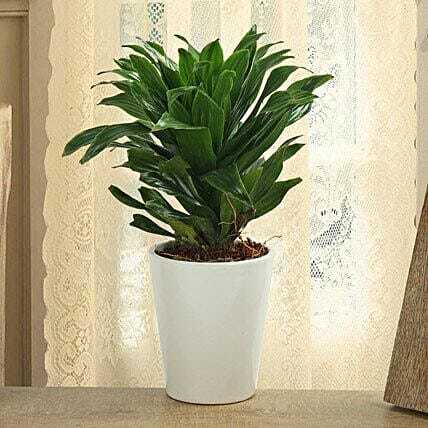 Dracaena is the best plant to remove trichloroethylene from the indoor air. It is very easy to grow and with proper care, it can remain for decades. It dwells on shady areas or under indirect sunlight coming from East or West. The low light condition or irregular watering – are no problems for the growth of this plant. But try not to skip watering the plant at least in the summer season. During the winter season, mist with warm water. Provide some liquid fertilizer in summer and spring seasons every fortnight. This plant is vulnerable to insects and mites when the atmosphere is dry so the humidity must be above 40%. The broad shiny leaves of rubber plants add a nice flair to the home décor. 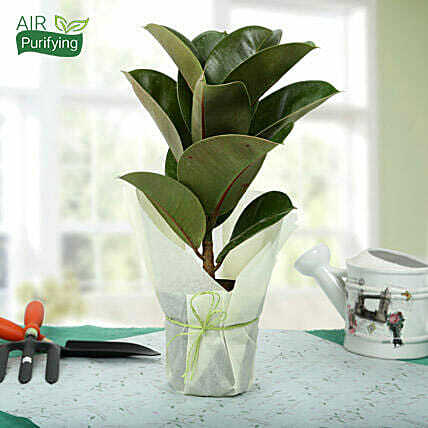 It is an effective plant for removing excessive formaldehyde from the indoor air. Rubber plants require 16-27 degree Celsius of temperature and can also bear lower temperatures. It requires semi-shade or semi-sunlight conditions to thrive well. Remember to wear your gloves while pruning the rubber plant because the milky sap may itch and irritate your skin. In the summer months, never forget to feed this plant with liquid fertilizer regularly. Watering is very important and you must not miss that too. Keep your floors clean. Sweep it with clean clothes or use vacuum cleaners so that no dust particle is there. This cleaning should be a regular activity. Keep floor mats in front of all doors to keep your home pollution free. Wash these floor mats twice a week at least. Keep the humidity of your home around 30%-50% and that would help in keeping the allergens at bay. You should use an exhaust fan or keep your windows open while cooking, running the dishwasher, or while taking a bathing. Dry the clothes outside on our terrace, lawn, garden, or balcony. Select the fragrance-free or naturally-scented laundry products and mild detergents. Keep sliced lemon in your refrigerator and kitchen that would keep the air clean. Use less of air fresheners and opt for natural flowers. Last but not least, make your home a No-smoking zone. This Diwali, start a new life by adopting these easy and noble measures.